When you discover the food peace and abundant living that comes with a non-diet, body positive message, it’s hard to keep quiet. In fact, here at BBL we find ourselves wanting to shout it from the roof tops most days: Dieting IS NOT THE ANSWER! Diets don’t deliver on their promises! We have one promise-maker and He wants nothing more than for us to be free from body hatred and scale-obsessions. One way to dive deeper in your own journey towards body and food peace, or to share the gift with others, is to pick up one of our BBL non-diet book favorites. Gift it to yourself or to a friend. We have witnessed first-hand how life-changing these non-diet books can be. We’ve heard story after story of folks picking up one of these books and doing a 180 in how they view food and their bodies. We’ve rounded up some non-diet essentials for Cyber Monday. These resources aren’t faith-based, but they are packed full of messages that can jump-start the path towards breaking free of a dieting mindset. These books work for non-diet newbies and for those who have been working on self-acceptance for a while now. Some of our BBL friends have even been known to leave these resources on a coffee table for a curious and unsuspecting roommate. These books are the gift that truly keep on giving. Starter Pack. Intuitive Eating and Health at Every Size almost go hand-in-hand. I would call this a great “starter pack” gift for the person in your life that has just started this journey (or maybe needs to start the journey). 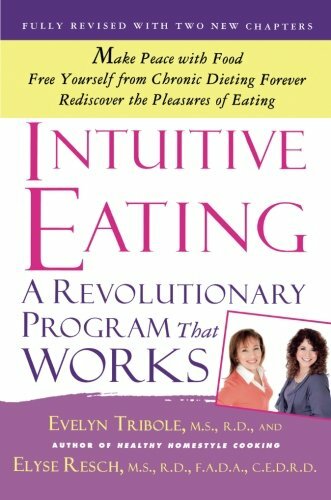 You could call the Intuitive Eating book the “how” and the Health at Every Size book the “why” of a non-diet approach. The Intuitive Eating book describes the dieter’s dilemma perfectly. Readers often say that the book was actually written for them. I’ve heard people say, “It’s like the authors were able to look inside my head.” This book takes the reader step-by-step through the journey of discovering how to have a peaceful relationship with food and with physical activity. 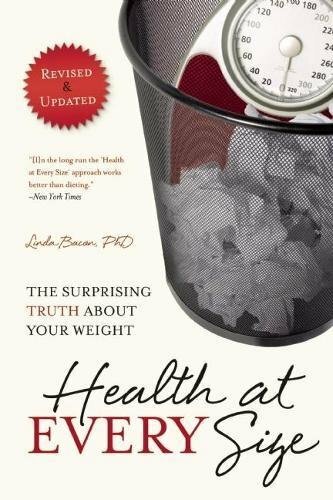 The book, Health at Every Size goes beyond what it means to eat intuitively, and breaks down the science about weight and health. It’s like an undercover look at the news headlines that have made us fear fat. This is the perfect book for the science-minded skeptic or the not easily convinced friend or family member in your life. Feeding the Family. Secrets of Feeding a Healthy Family is a MUST READ if you have kids or are thinking about starting a family. It also makes a great gift for moms and dads-to be. The Eating Competence Model is literally a game changer for families, with a big emphasis on eating together as a family and meal planning. If you can relate to difficultly at meal times with your kids or struggle with knowing how to prepare nourishing meals that your family will love, Ellyn Satter lays it all out for you. 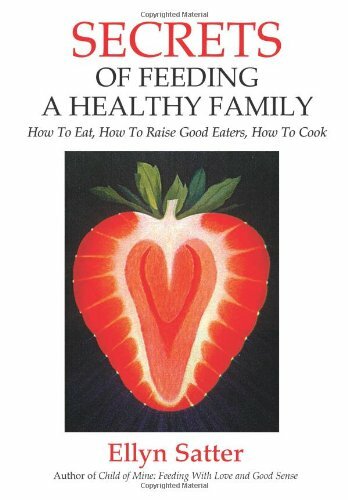 This book not only explains how to raise a child with a health relationship with food, but how to heal your own food hang-ups in the process. Children’s Books. 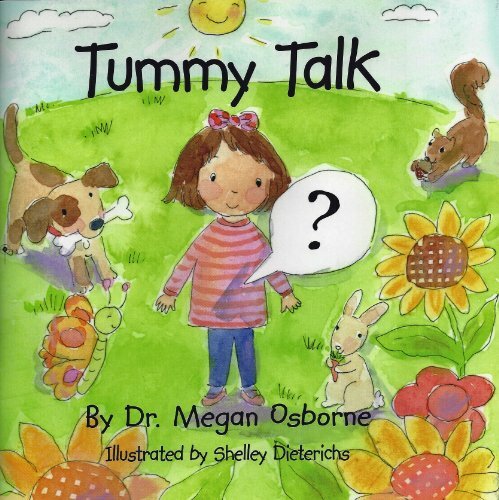 And while we’re talking kids, take a look at Tummy Talk. This is a book I recently learned about though my friends at FindingBalance.com. It’s a children’s book that teaches about the God-given ability to recognize hunger and fullness cues. How awesome is that?! This makes the perfect Christmas gift for that favorite little boy or girl in your life – don’t forget about those nieces and nephews! Know a young person struggling to love their body? Body dissatisfaction is happening earlier than we ever imagined. Kindergarten and first grade, y’all! 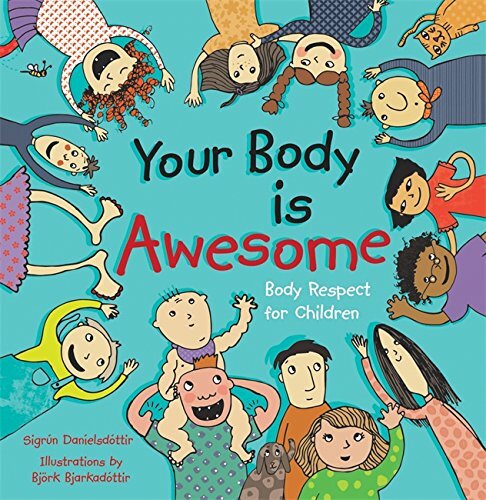 Two other books that can get children off on the right foot when it comes to loving their bodies are, 1) Your Body is Awesome: Body Respect for Children, and 2) Amanda’s Big Dream. Let’s start ‘em early on the body-love train! Body Image Basics. 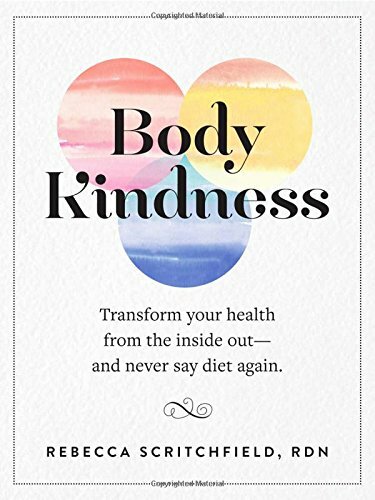 For folks out there who just want to learn to love and appreciate their bodies, instead of hatin’ on their bodies, Body Kindness is a great next step on the non-diet journey. This book invites the reader to take a good hard look at body thoughts and beliefs and how those thoughts shape our choices and patterns. You’ll be walking away from this book with a skip in your step and some body confidence. We could all use a little of that! For the Health Coaches and Health Professionals. We’ve thought of everyone on your gift list. If you know any health professionals out there who could benefit from discovering a non-diet approach, we have two books that are written just for them. 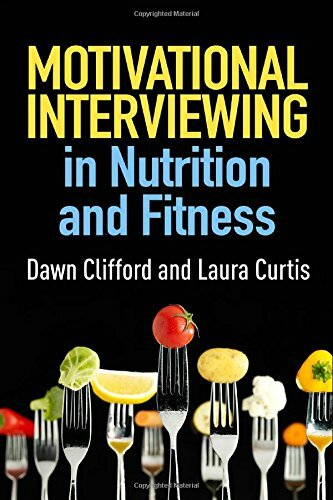 One is Motivational Interviewing for Nutrition in Fitness. This book is perfect for the professionals in your life who interact daily with clients or patients. It breaks down exactly how to speak with someone about making food and fitness-related behavior changes, in a way that isn’t shaming or judgmental. It’s filled with different health coaching scenarios and examples of how to share a non-diet message with a client. The other must-read for those in the health industry is Beyond a Shadow of a Diet. 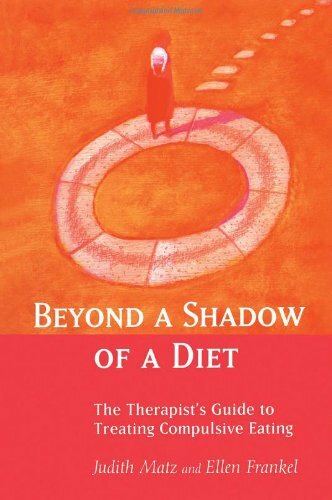 This book was written for therapists and nutrition professionals who want to dedicate their lives to helping others heal from disordered eating and discover food peace. These aren’t ALL the great non-diet resources that are out there. Check out our resources page for more must-reads. We plan to keep on adding great resources to our page as they are published. So, if you love a non-diet book please send us your recommendation. Now get out there and bless one another with these messages of body kindness and food peace. What better way to celebrate the gift of Jesus than to gift yourself and others with tools that can put an end to food and body struggles? A non-diet book and a good hearty healing prayer might do just the trick. Some of the links on this website are affiliate links, which means that we may earn a commission if you click on the link or make a purchase using the link. When you make a purchase, the price you pay will be the same whether you use the affiliate link or go directly to the vendor’s website using a non-affiliate link. By using the affiliate links, you are helping support Body BLoved, and we genuinely appreciate your support. Nicole resides in the East Bay Area where she works in private practice as a Registered Dietitian Nutritionist. She is a new Mom and serves alongside her beloved husband in their local church. She completed both her bachelors degree and her dietetic internship at California State University, Chico, where she was also a NCAA cross country and track athlete. Through those experiences, God prompted her to help people of all shapes and sizes discover body peace and acceptance through the unconditional love of Jesus. Nicole most enjoys spending time around a table and cooking for the people she loves. Body Bloved's One Year Anniversary! Christmas in July...AKA Prime Day! Thank you so much for signing up for BodyBloved!!!! So glad you are apart of our community!